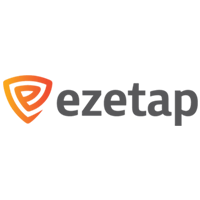 At Ezetap, veterans from payments, hardware, cloud and SaaS industries have joined hands for the sole purpose of ushering in a new era of a frictionless digital payment ecosystem in India. Ezetap has deployed over 200,000 smart service points on its platform with customers ranging from brick-and-mortar retailers, e-commerce players, leading enterprises, and financial inclusion organizations. Ezetapprocesses over US$1.5 billion annually and has been ranked twice in-a-row by CNBC in their Global Top 50 Disruptor List 2016 and 2017. The company has raised over $50 million in funding and its investors include Social Capital, the Silicon Valley firm led by former Facebook executive Chamath Palihapitiya, Helion Advisors, American Express, Li Ka-Shing’s Horizons Ventures, JS Capital (Jonathan Soros), Prime Venture Partners, and Capricorn Ventures (Jeff Skoll Group).